As the US presidential election cycle continues to heat up, the field of Republican candidates vying for their party’s nomination has begun to solidify. Following our interview with contender Fred Karger, we decided to reach out and interview Gary Johnson, the ex-Governor of the state of New Mexico and current presidential hopeful. During the course of the conversation we covered his technology platform, touching on net neutrality, Internet taxation, and free speech. 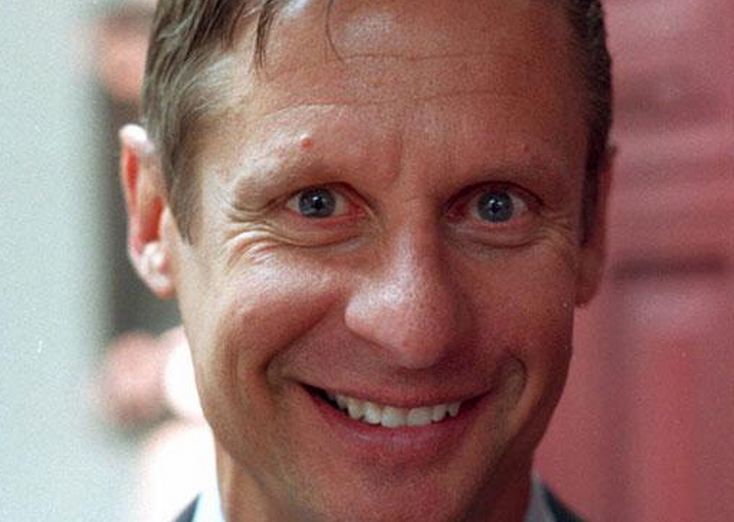 Gary Johnson, for our apolitical readers, is known for his libertarian streak. And of course, as with every discussion with a politician, we strayed off topic once or twice. The transcribed and slightly condensed interview can be found below. You can read TNW’s interview with Fred Karger here. Could you explain your view on net neutrality for our readers, in just a few sentences? I have to start with my experience as the Governor of New Mexico. I think that I vetoed more bills than any other governor. 750 vetoes in total I think and thousands of line items as well. I came at office from the standpoint that government does not have the answer to [all of the various] problems. I live by the 95% rule: this is what I think, try to convince me otherwise, and 5% of the time I will be wrong. Net neutrality sounds great on paper, but the reality is that it is the start of government control of the Internet. And, of course, as with every act of intervention by the government, this specific example would have unintended consequences. It will end up with the restriction of the Internet. I’m not the guy who wants to regulate [the Internet] or pass legislation that might do that. And my resume speaks for me; it says that I won’t do it. In your view then, the government does not need to have a hand in maintaining the equal treatment of content by ISPs. But what about companies such as Comcast that are both ISPs and owners of content creating enterprises? Doesn’t that raise the potential issue that they would give preferential treatment to their own content on their network? I see the concern of Comcast doing something like that, but I’m not going to immediately turn to governmental intervention. Telling Comcast that it can’t do something like that would have, as I mentioned before, unintended consequences. And if the government passed legislation because of Comcast that had far-reaching implications, that too would have unintended consequences, and impact far more companies than just Comcast. With net neutrality I don’t see the evidence for the abuse that people are discussing. This goes back to my ‘knee-jerk’ 95/5 rule: we have to understand the other side of every issue. When I was Governor of New Mexico, this was one of my favorite jobs, I relished it. [It was invigorating] to understand the other side of the argument. That said, I can’t recall when I had to change my position on something after doing more research. I’m open to the debate and discussion, of course. That was one of the best parts of being a Governor, being in the middle of the conversation, in the middle of public policy. But without equivocation, we are engaged in understanding the issue. On your website, you mention both service/access taxation, and a “global Internet tax” as things that should be avoided. Companies such as Amazon are taking a very hard line against online sales tax. As President, what steps would you take on a Federal level to ensure that the Internet remains as tax-free as possible? Well, one of the things that I advocate, if I could wave the magic wand, is the Fair Tax. This would involve repealing the 17th amendment, the removal of the IRS, and so forth. To be clear, the Fair Tax is a nationwide consumption tax, a sales tax, that would replace all other Federal taxes for individuals. What is the rate that you have in mind for such a tax? That’s right. The number that is being thrown around is around 28%, a figure that is supposedly revenue neutral. This tax system encourages savings, for one thing. When I was Governor, and I got out back in 2003 [TNW: after 8 years in office], it was cutting edge to be talking about taxing the Internet. I didn’t want anything to do with that. But there is an issue at hand. Let me give you an example: I’m a cyclist, and if you are buying a top end bike these days, say a ‘Specialized 29er,’ that’s going to cost you near $10,000. Now, if I go down to a local Santa Fe bike store, which I like to do, I’m going to pay 8% sales tax on that bike. But if I buy it online, I save that $800, so I’m going to make that purchase online because of how big the tax bill is. This makes the various taxes difficult when you think about the Internet. The Fair Tax would actually make this fairer, by charging the same rate to all purchases, not giving preference to anyone, offline or on. That’s interesting. If I go to my local Wal-Mart, I pay around 10% in sales tax here in Illinois, but if I go to Walmart.com I might not pay any tax. That seems slightly wonky. So the Fair Tax, in your view, would apply to online and offline companies in the same fashion? Yes, I don’t see a way around that. I think that I see why. If the 28% rate was charged nationally across all physical purchases and no online ones, it would collapse brick and mortar retail overnight. What is interesting is that if the Fair Tax was implemented, assuming that it was revenue neutral, it would probably cost about the same to consumers in terms of their total tax bill. So, even though the tax would apply to online purchases, their increased income flexibility would probably balance the whole equation out. But even if that is true, that is going to be one heck of a sale. I doubt people would even listen to it. But it does seem to make the inequality of sales tax in offline and online situations fairer. Not that I like taxes, of course. Right, but I want to point out that I’m not leading with my chin on the Fair Tax. I’m just pointing it out. And to be clear, I’m not an advocate of raising taxes of any kind, especially online. Bringing this back around to topic, let’s get into our final question. On your campaign website you have a line on the page that discusses your technology platform that says: “political speech should be in no form censored” online; we assume that your stance against censorship extends to all forms of speech online? Absolutely. I’m not sure exactly why it’s worded in that way. I’ll have to check into it. Thanks so much for your time, Governor, and good luck. You’re welcome Alex, it’s been nice chatting. Gary’s campaign website can be found here, and you can follow him on Twitter here.